Summer is a busy time in Bagni di Lucca. Here are some more events coming up. Sunday 5th is a busy day with 2 events. 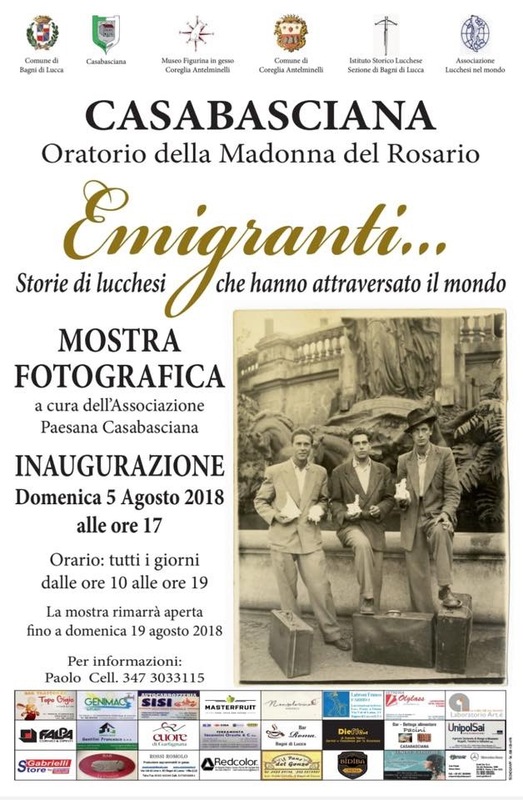 The inauguration of a photographic exhibition of immigtation stories will be at the Oratorio della Madonna del Rosario in Casabasciana. This is one I would love to see. The exhibition will be there until 19th August. 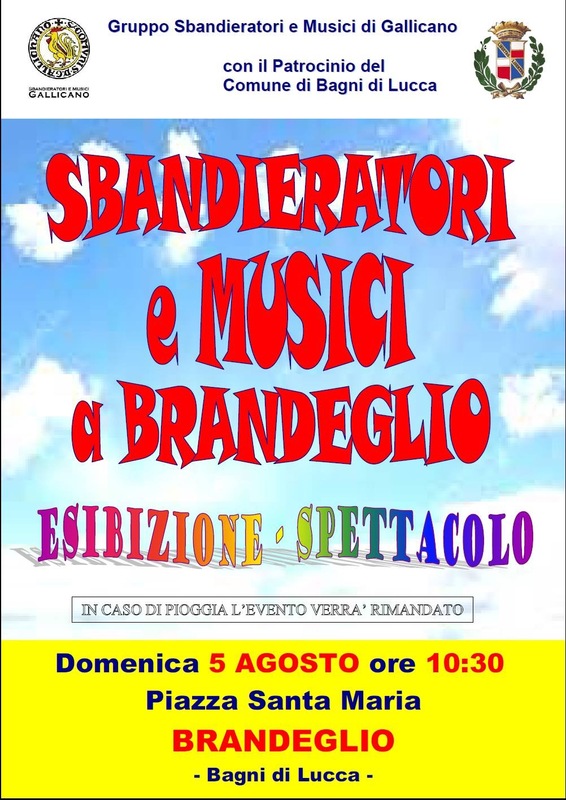 I love sbandieratori! I wish I could be in Brandeglio to see the flag throwers. Let’s hope it is a fine day on Sunday. 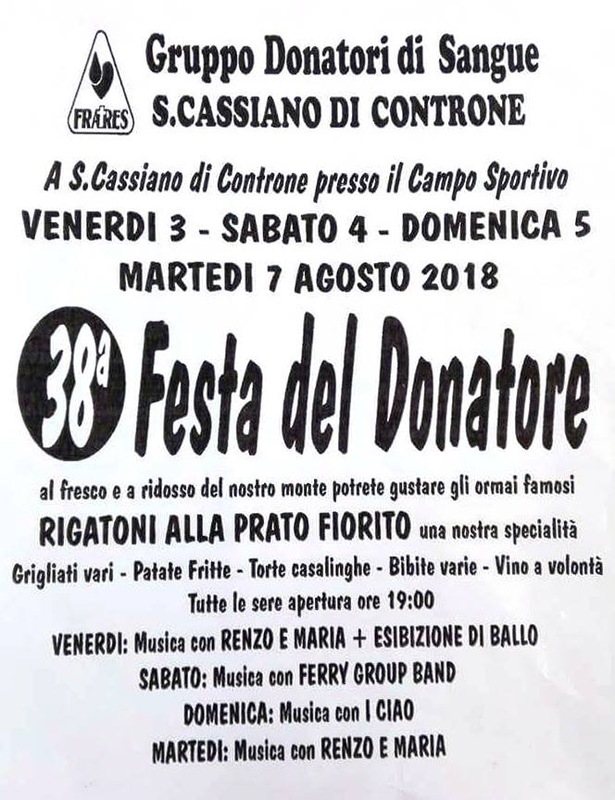 …and another in San Cassiano di Controne. This is a list I found with lots of upcoming events…something for everyone. 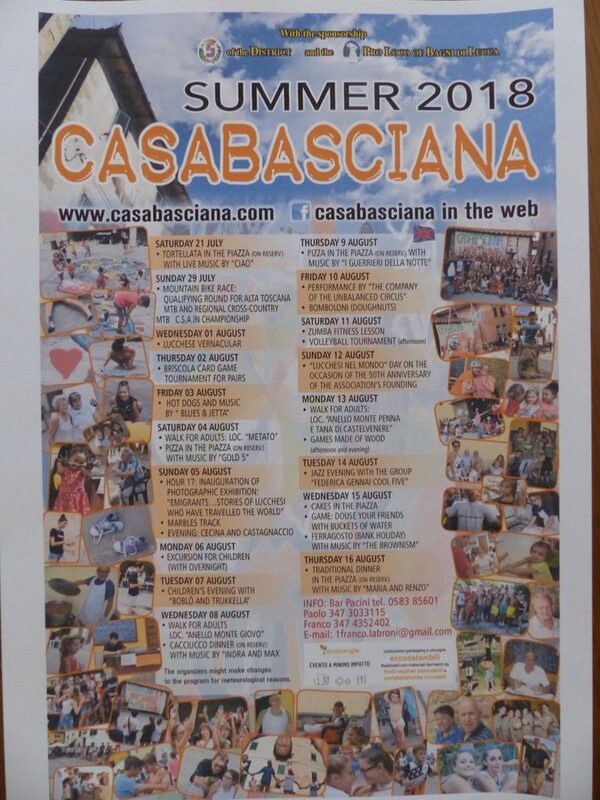 This is a list of events in Casabasciana. Outdoor cinema seems to be popular this summer. I’m sure these events will be well attended. This entry was posted in Things to see and do and tagged Bagni di Lucca, Italy, local events, summer by Debra Kolkka. Bookmark the permalink. Great events! I particularly like the return to 1818 Ball at Villa Buonvisi….